Dillian Whyte remains one of the few notable heavyweights presently without a fight—unless you count the one to which he’s presently attached his name. 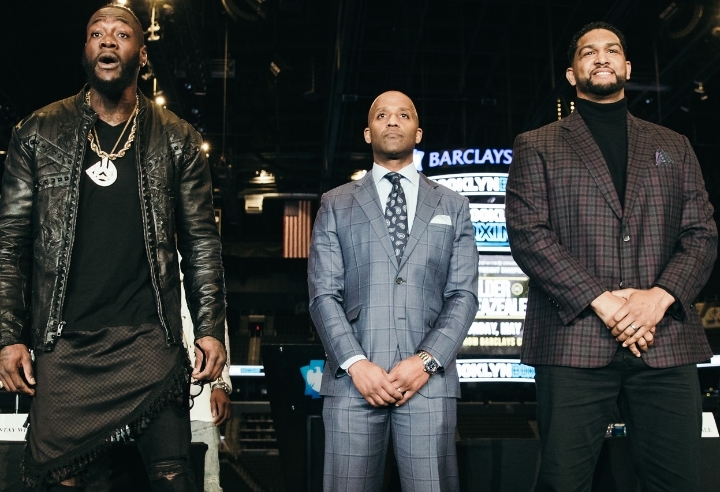 The top-rated contender has filed a formal appeal with the World Boxing Council (WBC), challenging a ruling that allowed Dominic Breazeale to be named as a mandatory contender for Deontay Wilder’s title. The two will square off May 18 at Barclays Center in Brooklyn, New York, with the Showtime headliner formally announced last week. Breazeale advanced to the title stage after the fallout in talks for a rematch between Wilder and Tyson Fury, a bout which was approved and ordered by the WBC following their 12-round draw last December. While they were in talks for two months, the WBC sought to use the situation as an opportunity to clean up its two-mandatory mess by ordering an interim title fight between Whyte and Breazeale. Both plans went sideways once Fury bailed on the planned rematch, instead signing with Top Rank and ESPN, leaving Wilder without an opponent. That changed when Breazeale abandoned plans for an interim title fight to instead fight for the real thing. All of it left Whyte out in the cold, but for the moment not without a fight. Whyte (25-1, 18KOs) has participated in four straight bouts sanctioned by the WBC, including a knockout win over previously unbeaten Lucas Browne last March—a moment the Brit believed solidified his status as WBC mandatory challenger. Subsequent wins over Joseph Parker and Dereck Chisora (in their thrilling rematch last December) seemingly strengthened his case. Yet when it was time for Wilder to face an official challenger once plans for the Fury rematch imploded, it was Breazeale—on the strength of his knockout win over Eric Molina in their Nov. ’17 title eliminator who was granted the opportunity. Whyte threatened earlier this month to file a lawsuit with the WBC if he was snubbed from the title picture and has made good on that promise. [QUOTE=Boksfan;19619172]Don't bother Dillian, Beyonce Wildher will always duck you because Beyonce Wildher is a cherry picking COWARD [IMG]https://i.postimg.cc/Y9sjZWrW/Beyonce-Duck-Face.jpg[/IMG][/QUOTE] Do some research and see how many manadatory eliminators Whyte has ducked.